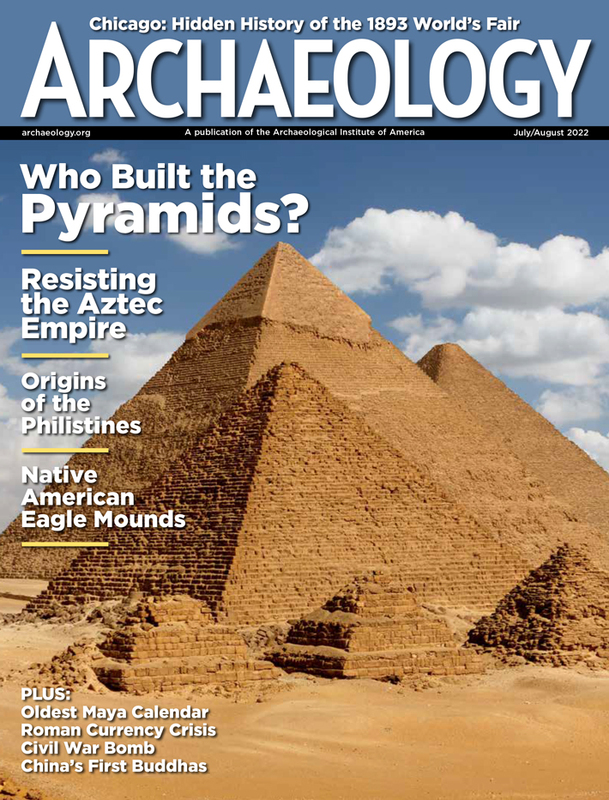 Visit www.archaeology.org/news for the latest archaeological headlines! Skeletal remains clad in armor dating to the early sixth century A.D. have been uncovered from a layer of volcanic ash at Japan’s Kanai Higashiura ruins. The man probably died during the eruption of a nearby volcano. His armor had been fashioned from small overlapping metal plates, which were manufactured to the southeast. Such imported armor has been found in the tombs of high-ranking people, but this is the first time it has ever been found on its owner as it was worn. A coded World War II message discovered earlier this year in England has been cracked. Researcher Gord Young of Ontario had a World War I code book that had been kept in his family. This was a key factor in solving the riddle, since war-time code books and computers in England had been destroyed. The message, which was found strapped to the skeletal remains of a carrier pigeon that had never reached its destination, had been sent by a paratrooper who had been dropped into occupied Normandy. He was killed a few weeks after sending the message. A large altar dedicated to Poseidon, Greek god of the sea, has been unearthed in the Bulgarian Black Sea town of Sozopol. Pieces of marble at the site suggest that the altar was part of a temple that was destroyed after Christianity became the official religion of the Roman Empire. The temple was soon replaced with a church dedicated to Nicholas, the Christian patron of fishermen and sailors. More than 400 flints have been found at a national park in Yorkshire, England. They could mark the spot of a Mesolithic campsite. Some of the flint fragments are burnt, suggesting that there had been camp fires or hearths at the site 7,000 years ago. “Even busy base camps may have left little trace behind them. 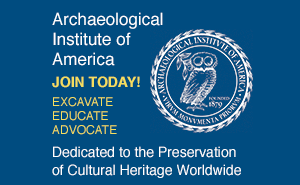 Structures such as shelters are likely to have been easily transportable and a few stake holes may be the only evidence for them,” said a spokesperson for the excavation project. This entry was posted by Jessica E. Saraceni on Monday, December 17, 2012. Discussion of this blog entry is now closed.